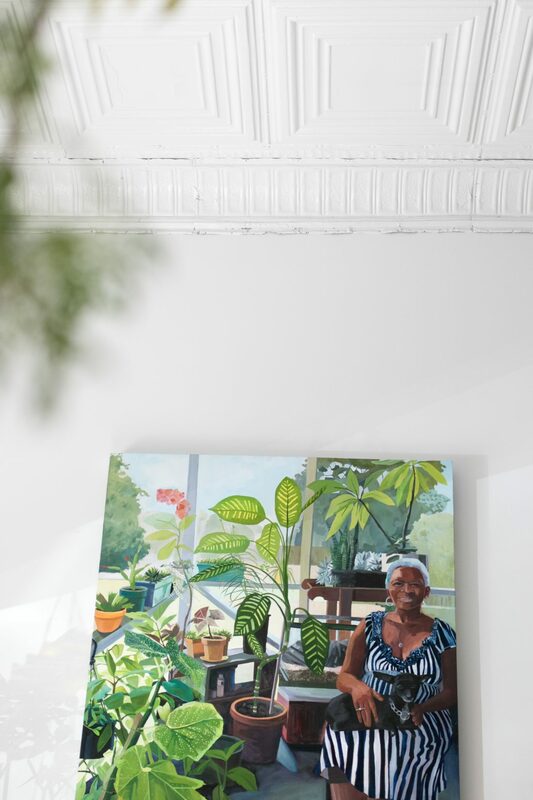 Megan George always knew she had a passion for greenery. 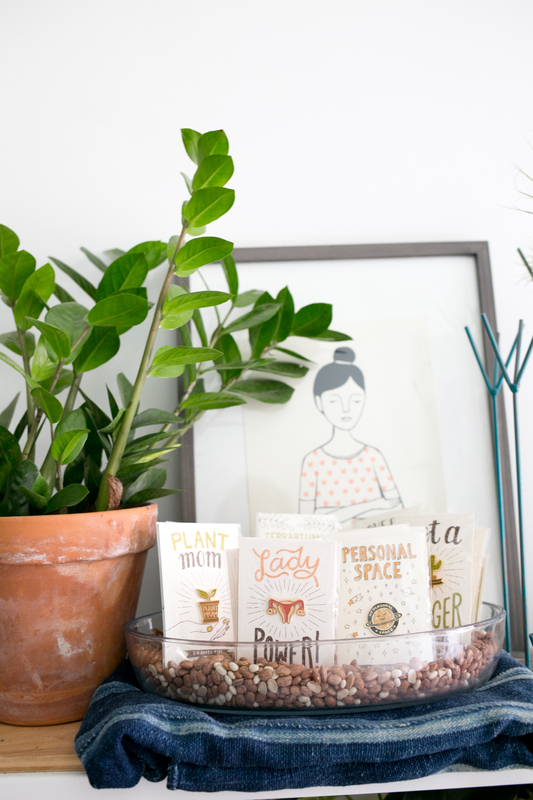 After going to business school, she decided to follow her dream and create her own plant craft company. Creating a business is probably one of the most terrifying things you could ever do. But with a dedication and a lot of hard work, she’s now living the life she always knew she was destined too. Her unique perspective has catapulted her career and we’re excited to see what Zen Succulent does next! 12 hours in Durham, where would you go? 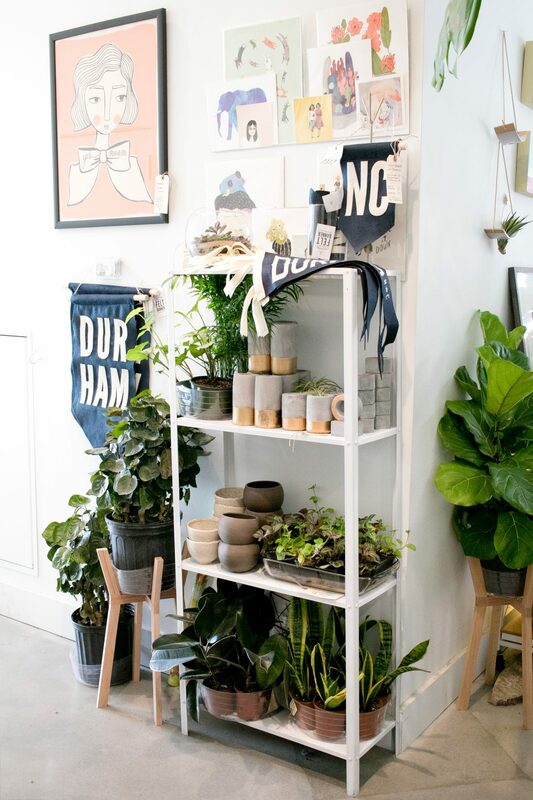 We love spending time going to the local shops and retailers in downtown Durham. 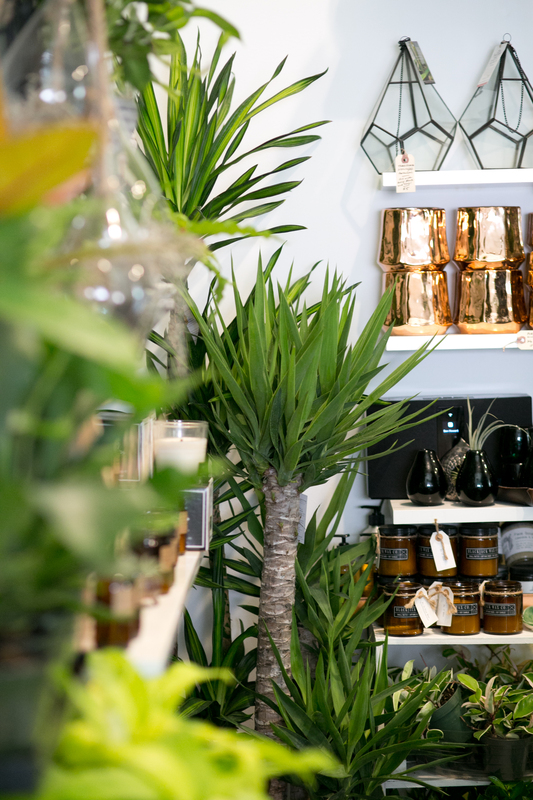 Right around Unscripted are some of our favorites such as Chet Miller, which sells various mugs and curated gifts, as well as another the Vintage Vault for retro records. I love going in there and finding different items I can use for styling. It’s such a unique store! After some major retail shopping, grabbing a drink at The Patio is a must, that pool is the perfect spot to cool off at. I love ending my day with going to a Durham Bull Game or really attending any of the local gaming events even if it is not a Duke Basketball Game. Who are some of your favorite artists in Durham? One of my favorite artists is Rachel Campbell. Her work is heavily influenced by her original landscape of New Zealand and is mostly known for her vibrant colors. She does amazing color blocking pieces that are surrounded by florals and or greenery. We actually sell some of her prints in our shops and people love her rich colored oil paintings. Rachel is for sure a must-see and highly recognized staple in Durham. Another favorite artist of mine is Vanessa Hernandez. She is a self-taught spoon carver who owns and operates Ask The Trees, a Durham-based business that specializes in creating unique and functional wares for the kitchen from locally found wood. She makes incredible hand spoons out of repurposed trees with the hope that every piece will act as a reminder of the many gifts trees provide. Top 3 spots for feasting? Lucky’s Delicatessen, it has an old- school style with a Jewish-deli menu. It serves up the most delicious hot dogs and every week there is a new “special” hot dog. Motorco, it’s the perfect spot if you are wanting to sit outside, enjoy great bites all while people watching. They have great vibes and you can bring your pet along! Bar Virgile, this is a super nice and chill spot for cocktails and small plates. Everyone always just sees the bar in the front but there is actually also seating in the back for about 20 people and it really is the perfect place to grab food after show and an event. Their food is amazing as well their cocktails! What three words best describe Durham? 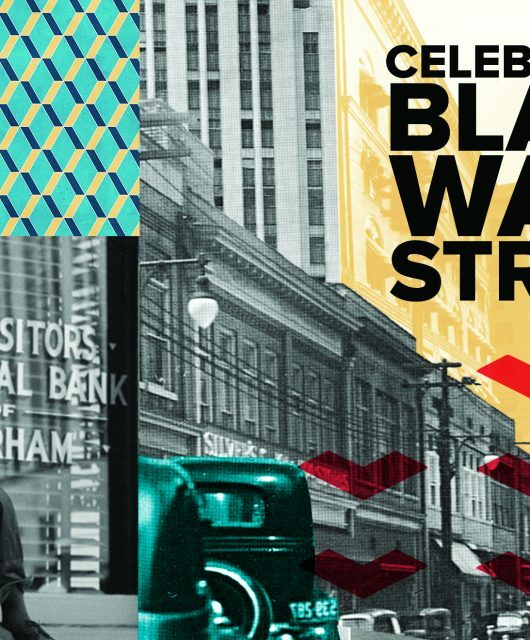 Home-town, Creative and Community. 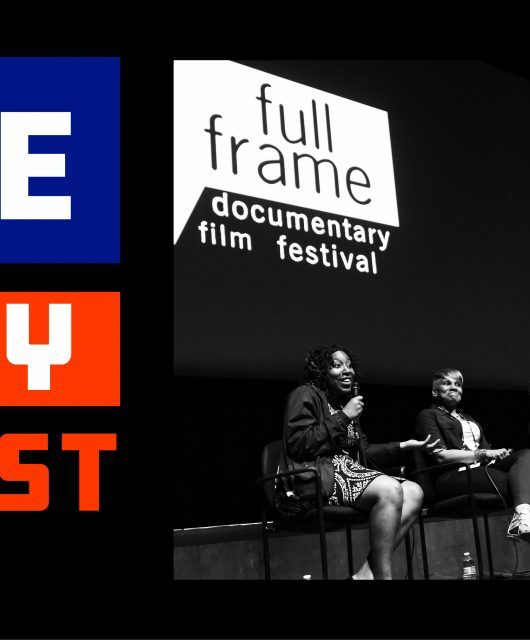 Durham has such a great blend of locals, that to anyone who movies here they truly feel that hometown vibe. Anyone can come to Durham and feel like the people here really care about them and it seems like anyone who does come here, can find something they enjoy. The community here is filled with so many creative artist and makers that it truly is an amazing town to find your own tribe. You grew up with having both parents as scientists- how did they instill their passion of gardening unto you? With the Research Triangle Park literally 10 minutes away from downtown Durham, I would always see my parents going back and forth from working in the lab. I think from being in that sterile environment every day, all they wanted to do when they came home was to be around greenery and garden. It’s actually funny because I have over 450 plants in my shop which is exactly how my house growing up looked like- we used to call it the urban jungle. I think seeing that from such a young age, the passion was always there. I would also spend hours with them making sure I got all the trimmings and pruning’s from all the plants back. From an early stage, my parents taught me to care for something other than yourself. 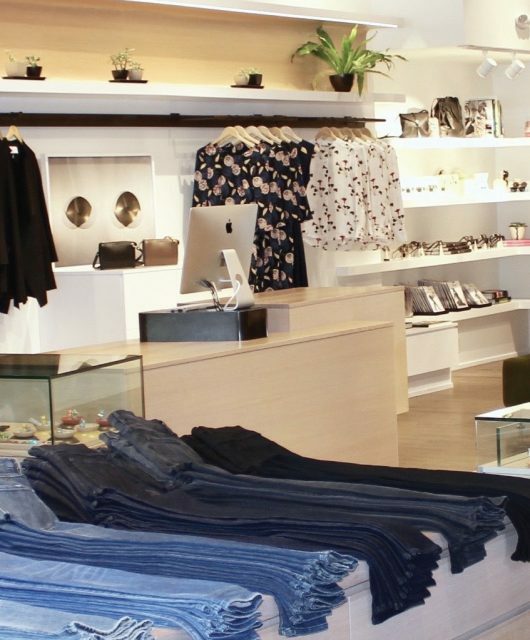 You first got started with a thriving online business, how was the transition from e-commerce to brick and mortar? My online business is still very much a part of our daily sales. We have been around since 2011, and I must say it was a very smooth transition to brick and mortar. When we first got started, I was doing a lot of various craft shows and from early on people had an invested interest in us. This why Durham is such a great community; people saw us at our first show and were really excited to share to have a place for greenery. Some of our very first customers from these shows, are still frequent customers to this day. 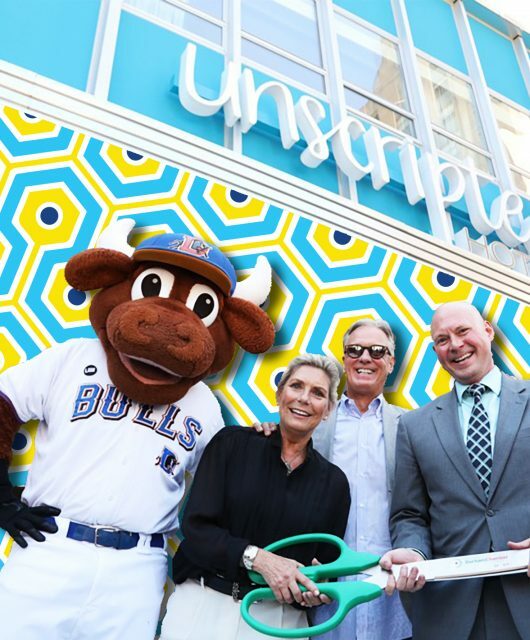 It was such a great opportunity to move to downtown Durham because of all the changes that are happening such as the new Unscripted. It’s really great to be on the ground level of so much exciting change in this downtown space! 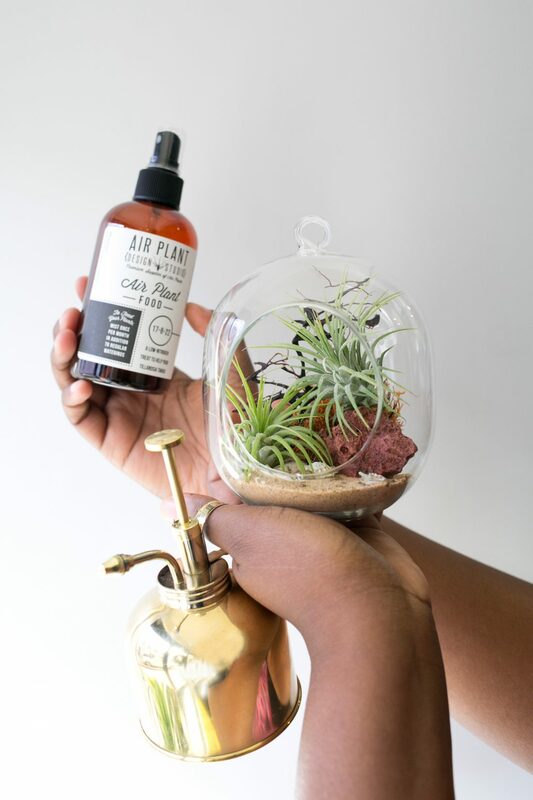 Not only does Zen Succulent sell beautiful terrariums but you also have a section for curated gifts and goods from regional artisans, what are a few of your favorite items? Back when we first got started and we were going to all the different craft fairs, I was constantly meeting all these various vendors and always thought how much I would love to have that artist in my own shop someday- and now I do! 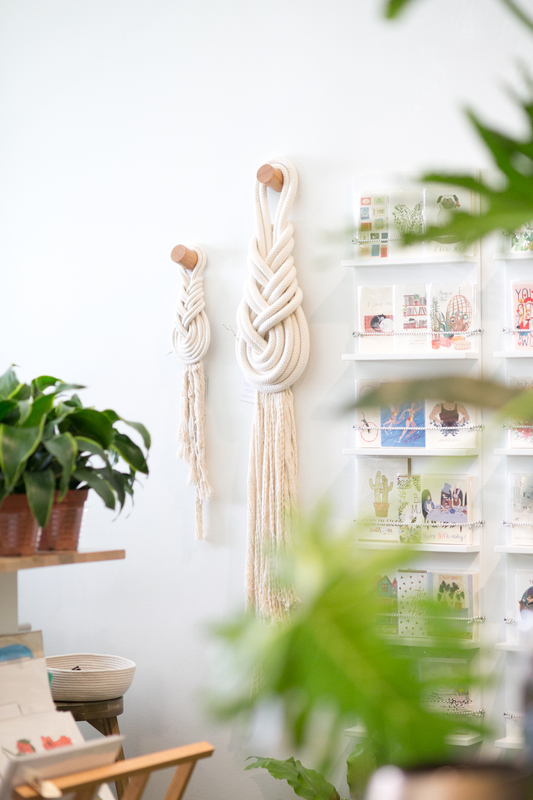 Some of our favorite artisans is Single Tooth, a potter out of the Mid-west. We sell her ceramic cups that have unique glazing which make for great potters for succulents. Another one is Whit and Whistle outside of Cary, NC, who makes enamored pens and quirky cards. This is the cheekier side of the shop which we love to have. 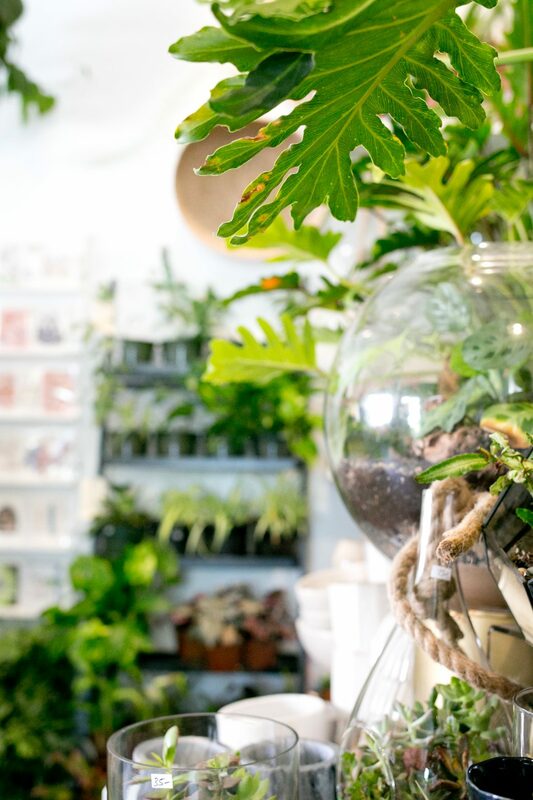 And we also carry our own line of terrariums and air plants! 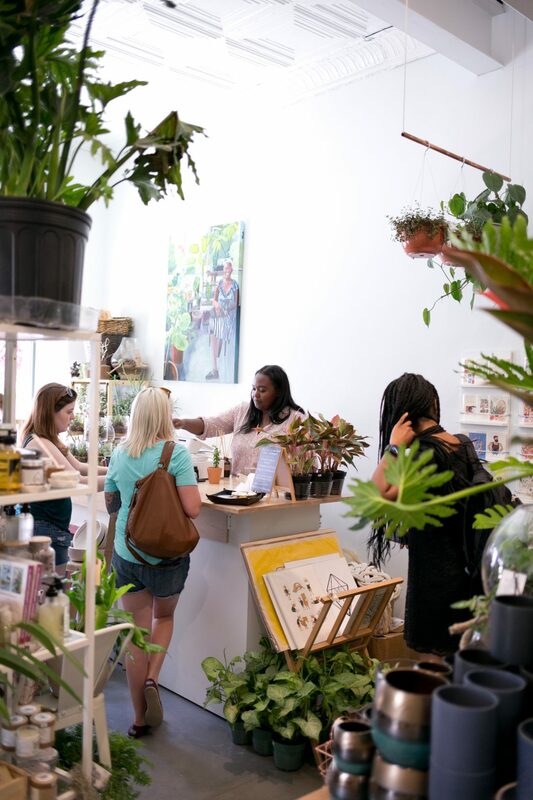 You offer a wide range of classes to a Terrarium DIY Bar and or Plant Craft Workshop series. How has it been teaching others? I love it!. Our classes have been extremely pivotal in the success of our brick and mortar and it has been truly amazing! When we were kids, arts and crafts were almost always a part of our daily routine, but when you become adults, you do not get to use your hands or be creative as much as we’d like. Being able to these workshops has brought in such a wide variety of individuals such as people who work at Duke or Moms who really just want to learn about greenery and have fun! Tell us a little about yourselves and how you got into the urban gardening scene? 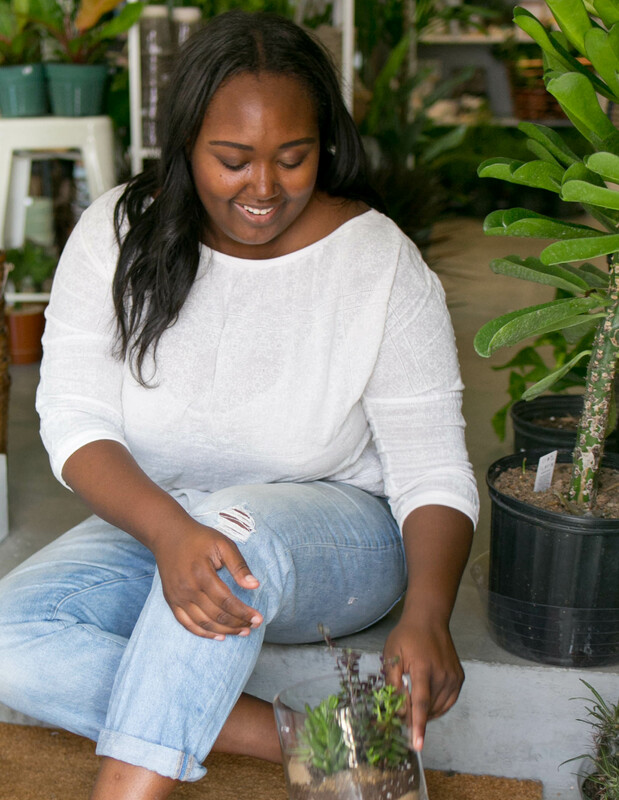 I got into the gardening scene because of my parents and growing up around greenery. 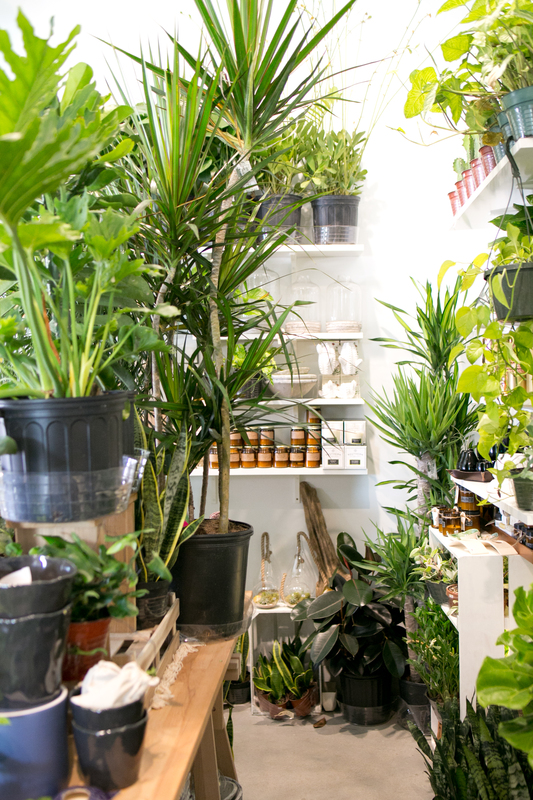 After I went to business school at The University of North Carolina at Greensboro, I thought it would be a great opportunity to blend my passion with greenery in the business realm. 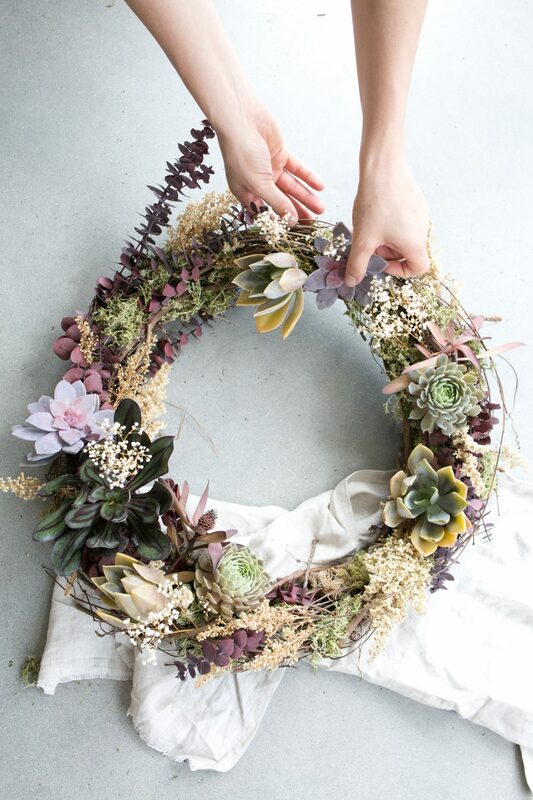 You have a knack for making plants and succulents look like living art- what is your process or approach like? 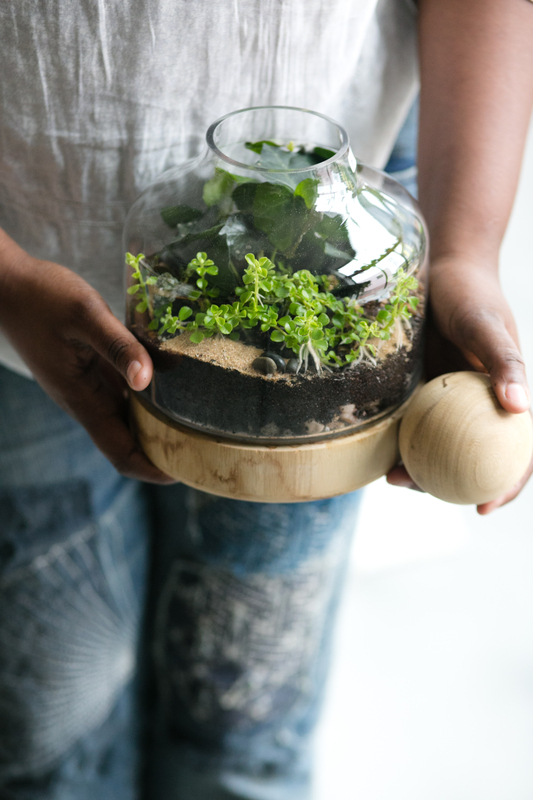 When it comes to making a terrarium – which is how I started out- it is really about how I can make them come to life. When it comes to making a piece, it is so much more than what container I am going to use. I really take the time to create a living structure that will continue to breathe and look aesthetically pleasing in your home. It’s about taking putting something unique in every arrangement. One of the most exciting projects I ever did was filling this huge ceramic clam shell because the container was so unique and it was so big! It’s really about picking a unique plant or identifying the focus that you would like to create and then shaping everything around it. As an artist, where do you look to for inspiration? Living in North Carolina, we have huge trees and a variety of different trails and nature points such as the Eno River. Really everywhere can be a beautiful spot for inspiration. Especially for someone who works with greenery, the Raleigh-Durham-Chapel Hill landscape has so much color and in all these different shades. I truly love our surroundings! You are a mother-daughter team, how has that been to work together? My mom is and has always been an amazing cheerleader for the business. I’ve always loved being able to come to her with different problems and issues and being able to take things from a personal standpoint to a business situation has only added to our relationship. It’s truly beautiful to work with my mother and not many people get to see that side of a parent. From being able to work together we have so many things more so in common. People often think that if you work with family it can negatively impact a relationship but working with her has actually brought us closer together because without the business I would not be able to see all the sides that make my mother so wonderful. 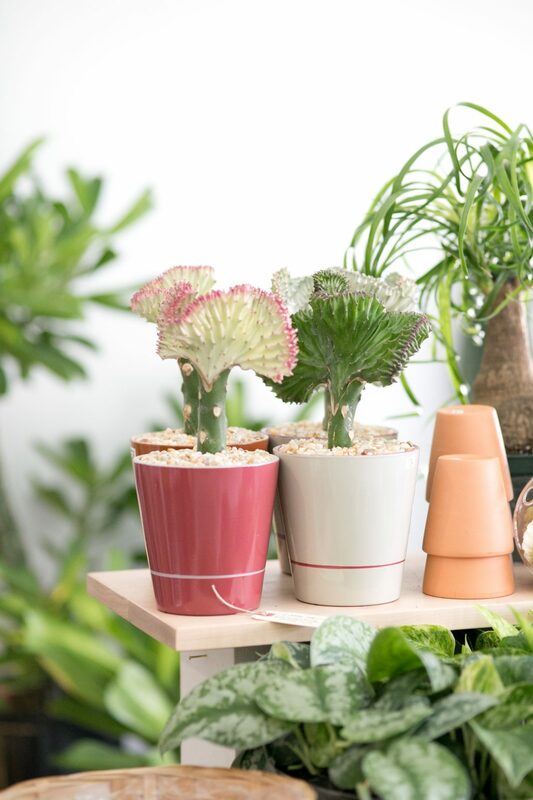 What is your favorite item to design at Zen Succulent? 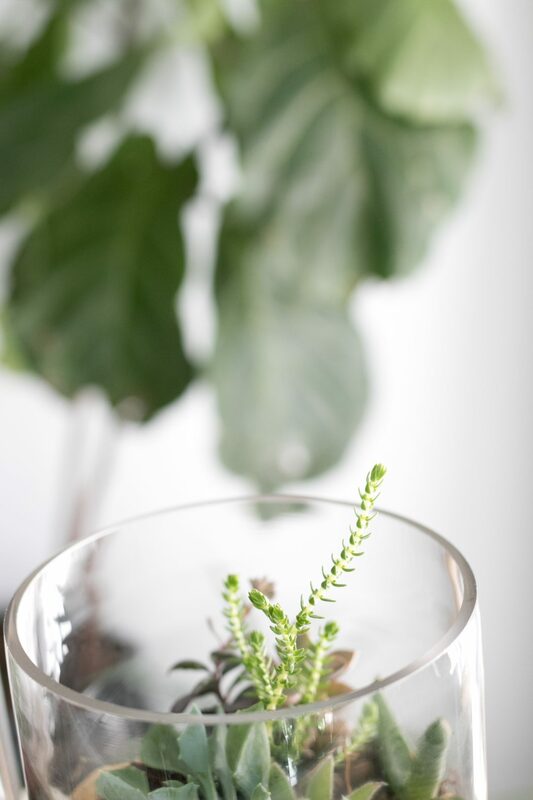 It’s always going to be what we started out with-our succulent terrarium. This is the very first item we ever had at our fairs and ever put on our Etsy shop. Playing with all the various layers and ingredients is a very therapeutic process for me because you are designing something is living for someone else’s space and you really want it to be something that is comfortable and relaxing for them. 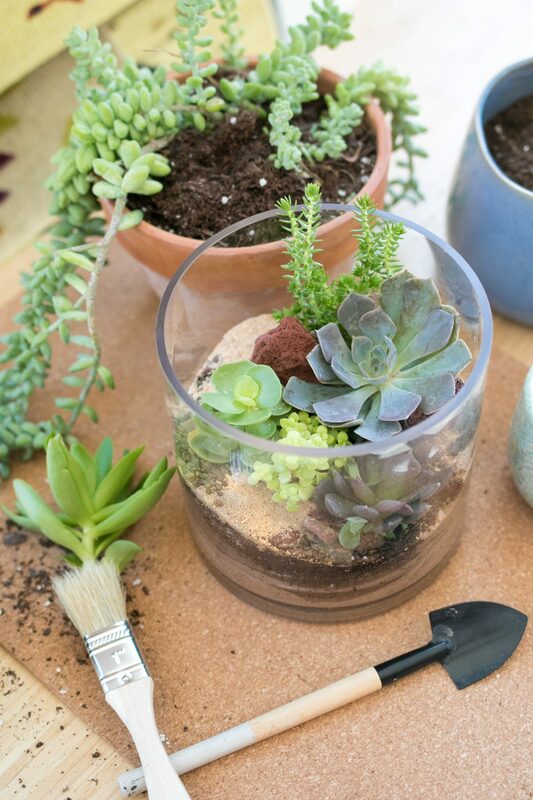 We have never made one terrarium the same way! Best piece of advice on the key to success? Always continue to build. I believe continuing to build on your previous accomplishments or even trying to build on something you might not have deemed worthy is super important. Always taking things to the next level can build success. When I first started in the online world, I was in between jobs all while graduating school. I started slow with one order and gradually continued to build on that. This is essential! Always keep on building. Even now I have a brick and mortar store and I know it is at its height, I already have plans for the future. I am constantly trying to move the brand forward.